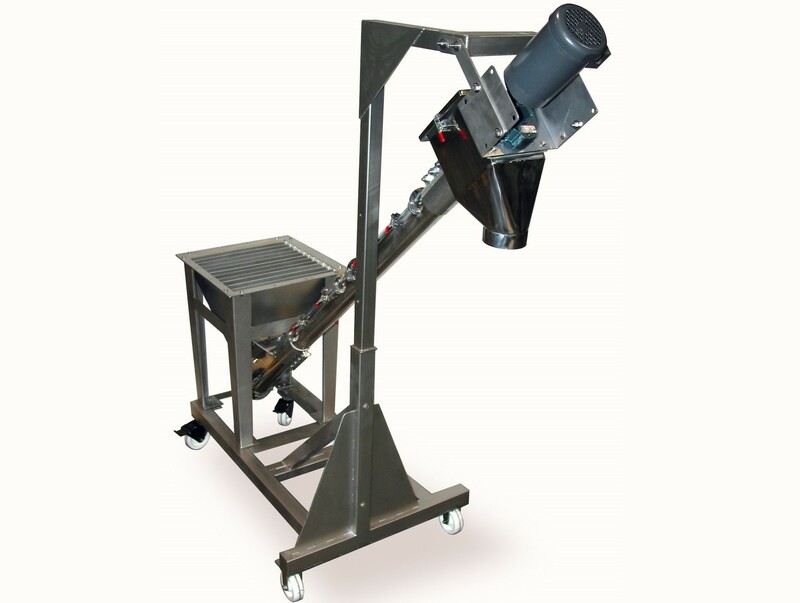 Unlike standard stationary screw conveyors, the portable type is able to be transported from one location to another, allowing bulk materials to flow from different areas and receptacles. They increase convenience, efficiency and lower maintenance. Portable screw conveyors are commonly used in industrial manufacturing, as well as the agricultural, farming, transportation and warehousing industries. They convey material into trucks, silos, containers, vats, pits, rail cars or other transportation vehicles. Most of these mobile bulk delivery systems are inclined screw conveyors, meaning they convey at an angle from uneven receptacles. They are adjustable, meaning the different angles at which they convey are able to move up and down. Most are composed of a metal construction, and mounting differs based on the equipment to which they are attached, which can be vehicles, carts or other mobile objects. 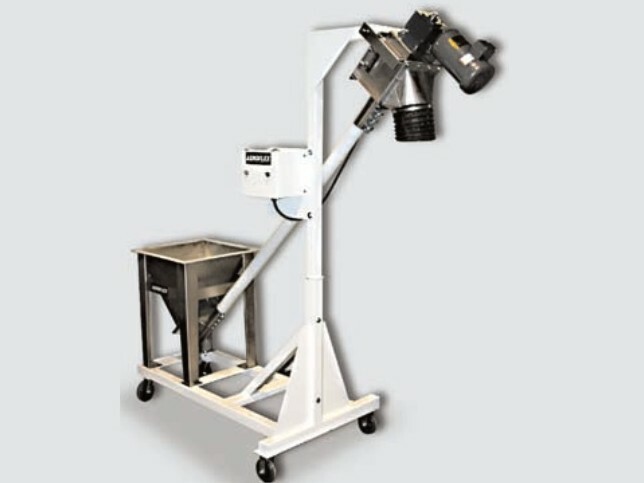 Portable screw conveyors are easily stored, and compared to larger stationary models, they can be cleaned with less trouble because they disassemble. There are two main types of portable screw conveyors: those that are mounted on a cart or stand and those that are mounted on a vehicle. The smaller conveyors are composed of a metal base, which contains three or four pneumatic wheels, the conveyor boom, an inlet and outlet, which are often able to pivot and move, and a guard, depending on the conveyor’s height. They must be pushed manually around a facility, and they are often used outdoors in farming applications. Most are powered electrically. Screw conveyors that are mounted on a vehicle are powered by an electric motor, petrol engines or power take-off shafts of a nearby tractor. They are attached to diesel trucks, indoor vehicles or industrial off-road trucks and are driven by a worker from one location to another. When the conveyor is located seven feet or less above the work level, they must be covered with a guard to prevent accidental contact with any dangerous components of the screw, including the prime mover and transmission. Portable screw conveyors are also sometimes manufactured with dust collection systems when they handle material like powders. They can also be built with features like alerts that signal the operator in the event of a blockage. Portable Screw Conveyors Portable screw conveyors are bulk transportation systems composed of a rotating helical screw enclosed in a tubular casing. They are able to easily move around a facility, warehouse or farm and are either mounted on a cart, stand or vehicle.